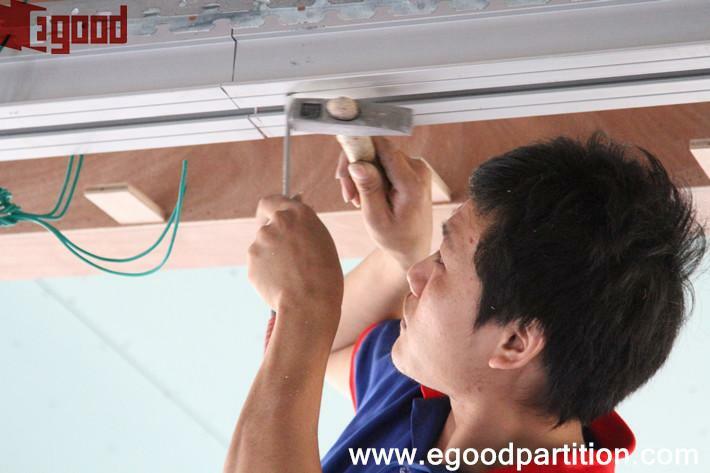 Your position: Home > Sliding Partition news > How to install Egood operable walls partition Track? 3、How sliding folding stackable wall partition working in hotel? 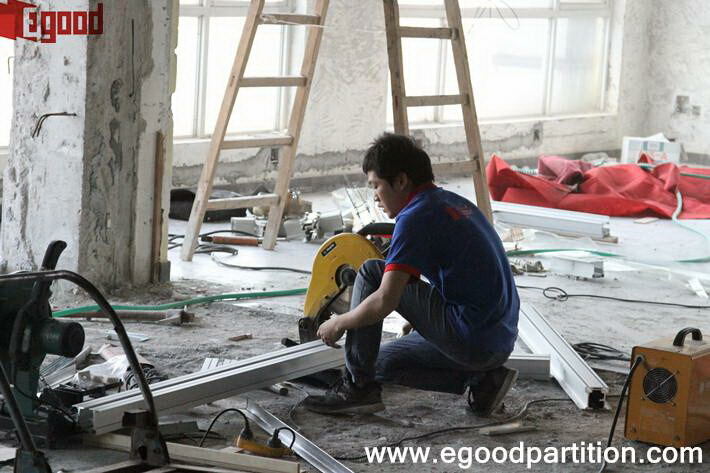 4、How to install Egood operable walls partition Track? 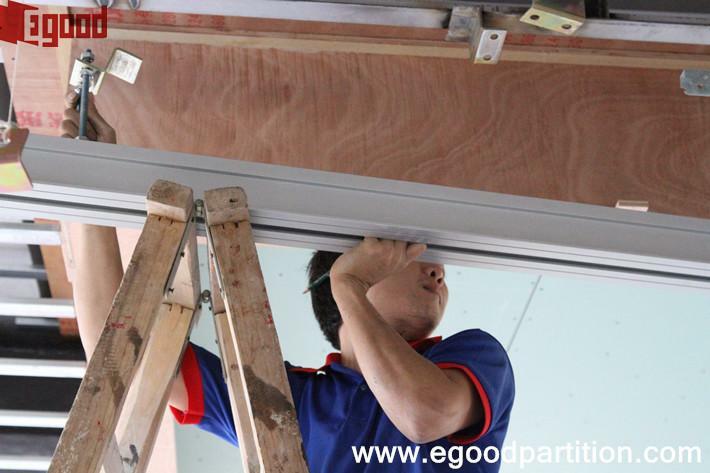 How to install Egood operable walls partition Track? 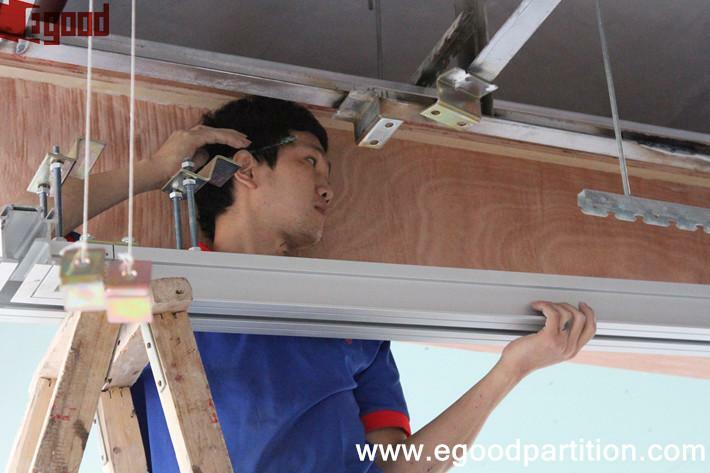 How to install Aluminum track? Is it easy to fix? 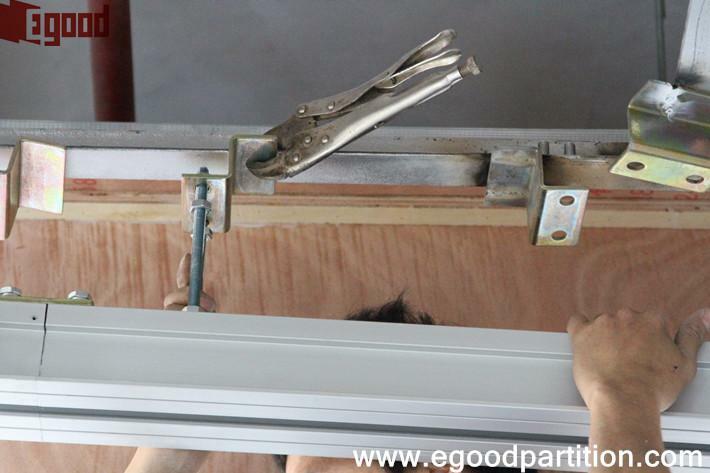 We think this would be the most frequent asked and worried question for operable wall buyer. 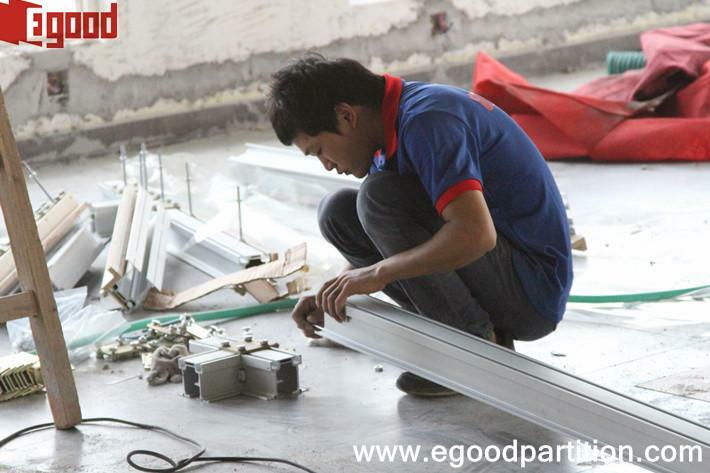 Actually the track installation is easy, but have to follow installation drawing we provide. 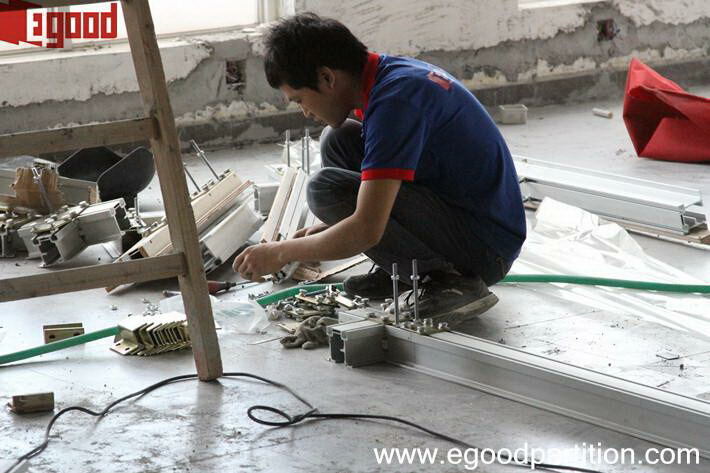 Otherwise, if there have any wrong direction will affect the panel operation. Here we record the track installation (Type 65) from accessories assemble to finish showing you full progress. 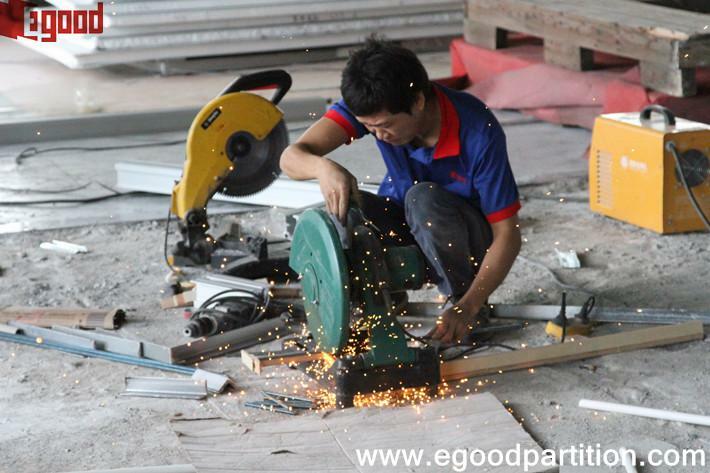 The first step is cutting and assemble the track fixing accessories. 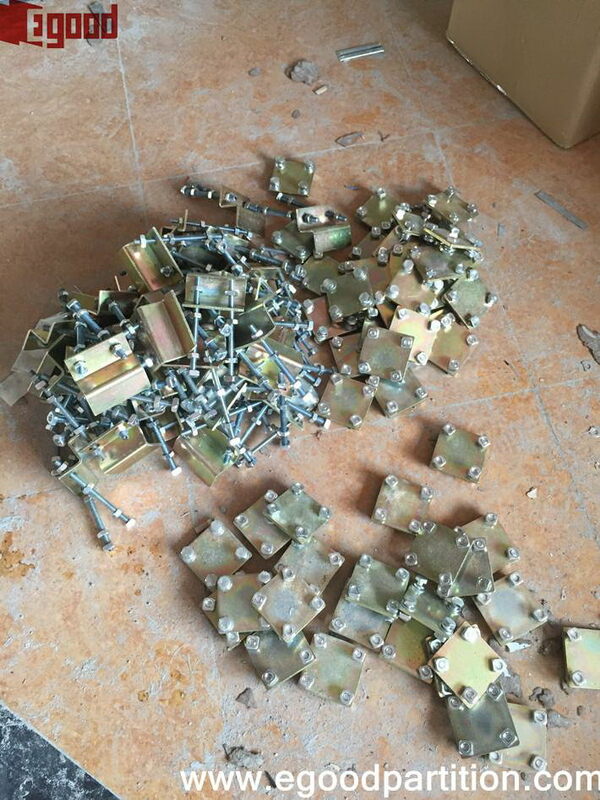 Including cutting the thread rod, the square nuts, hex nuts and etc..This part we have a small track sample show u how to assemble. 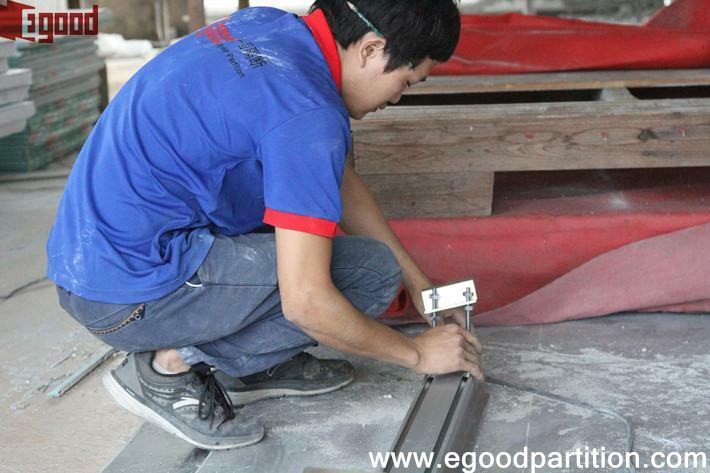 The second step is cutting aluminum track. 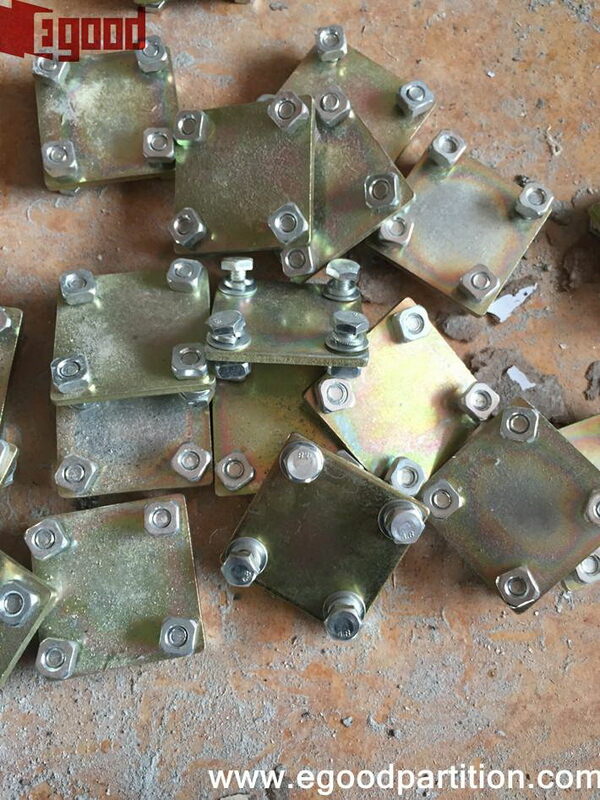 Our track dimension is 3m per each, client can choose cut and connect according to site condition. Third step is connect Junction or two sets of track. 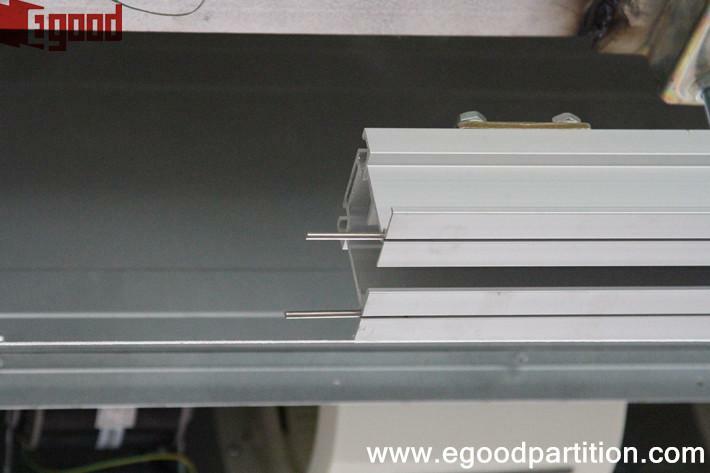 In the bottom we use Alignment Pin, in top we put square steel plate in joint, then fixed by bolts and nuts. 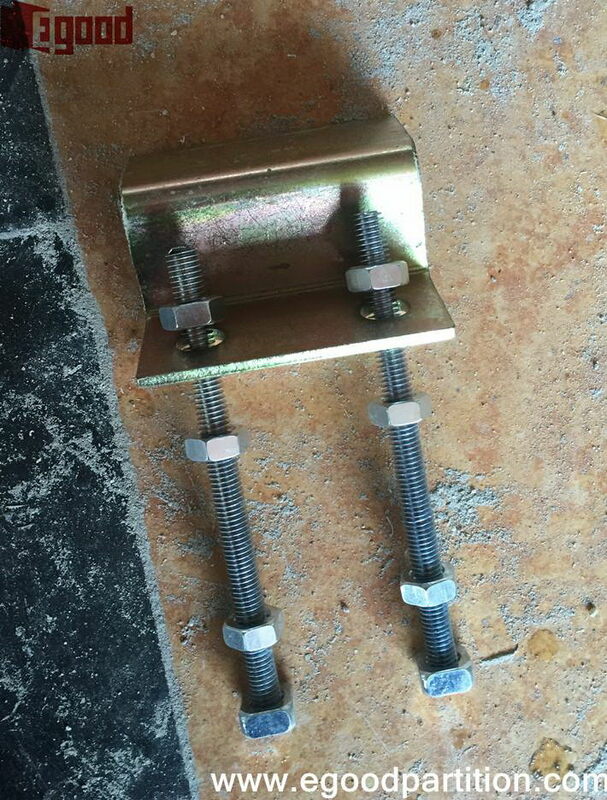 The fouth step is fix thread rod and hanger bracket. After track installation completed. 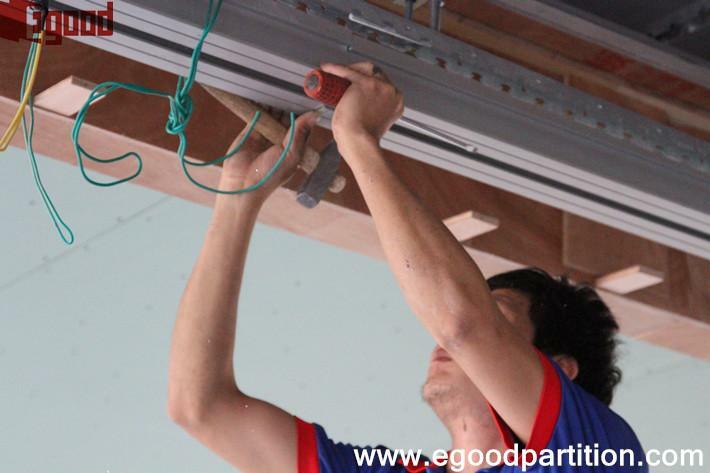 We can start to cover false ceiling. 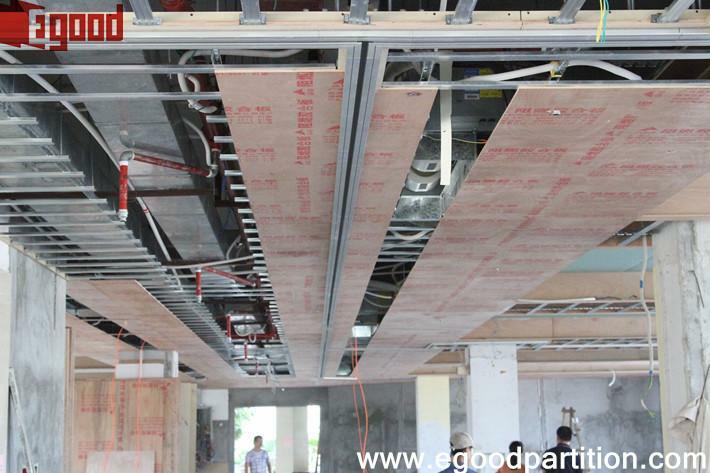 So the track installation would be better if it can be completed before ceiling decoration, it won't break ceiling. 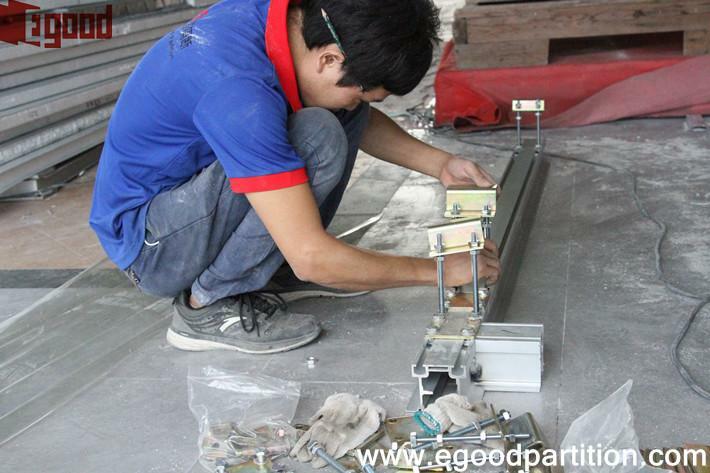 Thats why we suggest deliver aluminum track first . 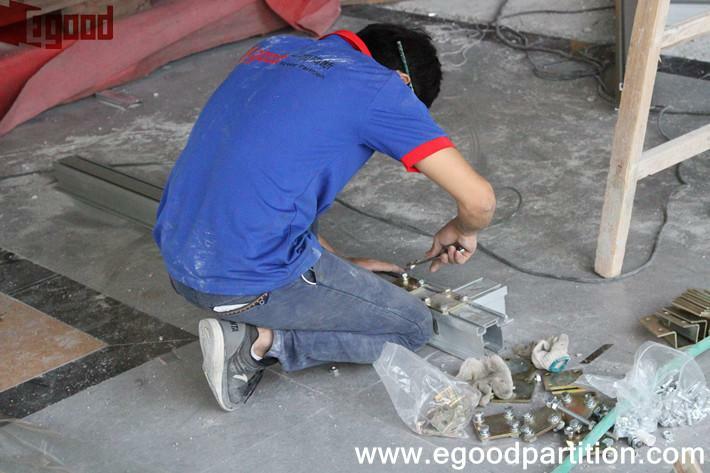 After track installation , client measure the size in site , then we start panel production ,it can make sure size very accurate. 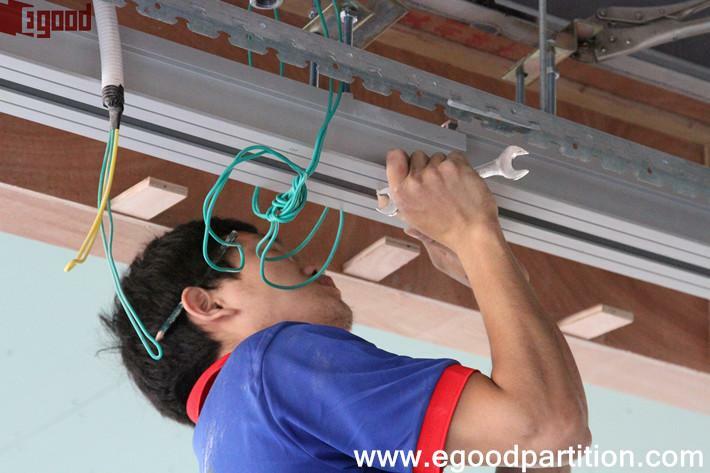 Or panel production and track installation at the same time, can save a lot of time. 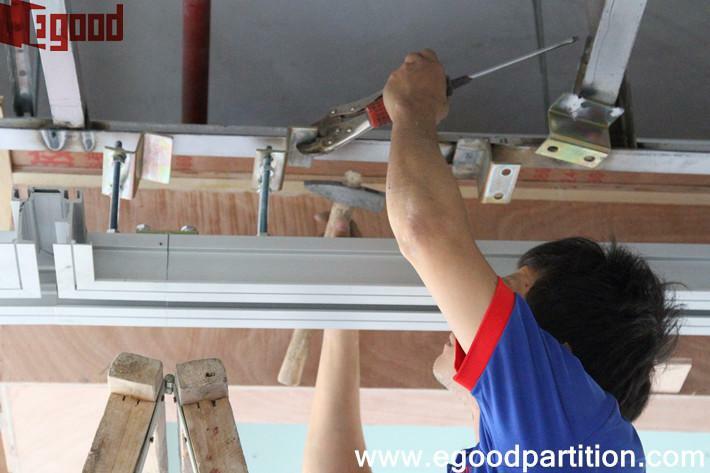 Last thing we should pay attention is partition height = false ceiling height instead of concrete slab. 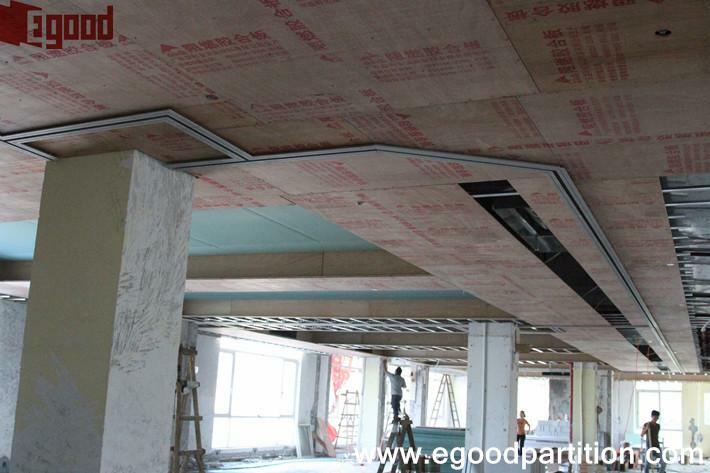 Ceiling cover in both sies of track to keep ceiling aesthetic. Hope this article be helpful for u.